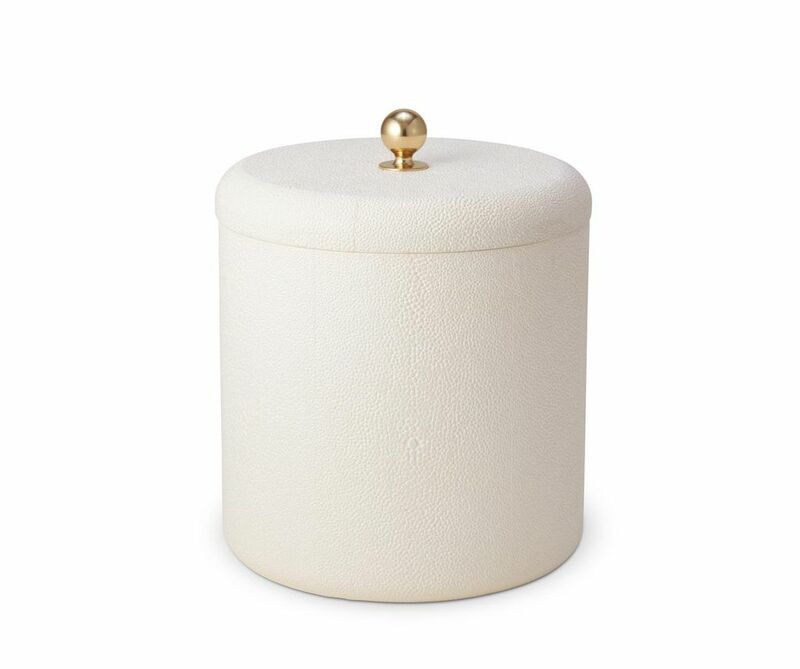 A rounded, stylish ice bucket made of shagreen, with a brass knob on the lid, and a double-walled stainless steel interior. Combine with other pieces in the AERIN barware collection, such as the Shagreen Wine Coaster, on the Classic Shagreen Butler Tray and Brass Butler Tray Stand, to create an elegant home bar. By order if not in stock. Delivery 2-6 Weeks.